Services to honor and celebrate the life of Norma Jean Newman will be held on February 16, 2019 at 2:00 PM at the Calvary Temple Assembly of God in Tulsa, Oklahoma. 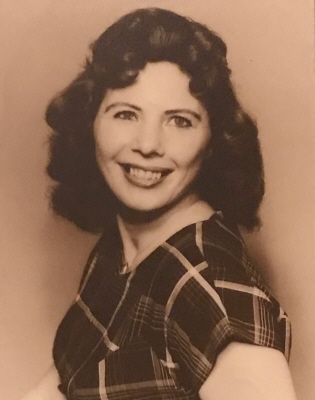 Norma Jean (Curtis) Newman passed peacefully on February 7, 2019 at Ranch Terrace Nursing Home in Sapulpa, Oklahoma. Norma was born October 10, 1925 and raised in Tulsa, Oklahoma. She was the only girl among four brothers. She married Bennie Newman on March 23, 1957 in Reno, Nevada. Together, they lived and worked together many years in California. They returned to the Midwest, living in Arkansas and Oklahoma. Bernie’s favorite name for Norma was “Boss”. She had successful jobs as a telephone operator, envelope factory worker, salesperson for Merle Norman Cosmetics, and dietitian. Though they had no children of their own, many nephews and nieces came to know and rely upon her as a mom as well as an aunt, a friend who was a constant source of support, encouragement and unconditional love. She had a winning smile, great sense of humor, and an open heart to everyone she met. She will be greatly missed. She was preceded in death by 3 brothers (Orrell, Erschel Van, and Jim), as well as husband, Bennie on December 17, 2017. She is survived by a brother Maj. (ret) Douglas L. Curtis, and many nephews and nieces. To send flowers or a remembrance gift to the family of Norma Jean Newman, please visit our Tribute Store. "Email Address" would like to share the life celebration of Norma Jean Newman. Click on the "link" to go to share a favorite memory or leave a condolence message for the family.